Here is another one of those amazing cards from Cherry Nelson. 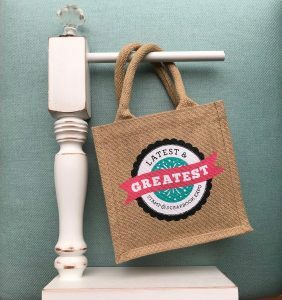 I love her inspiration and seeing all of her amazing talent in crafting. 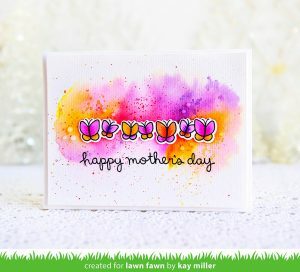 If you are a flower lover you will want to make this adorable card. A fun technique that Cherry used was stamping a very large image of a daisy on vellum. After cutting it out Cherry layered it with some vintage laces, and tissue papers. She used Fabulous Phrases for her sentiment. She then added a cute wooden clock for the center of the flower. Adding the final touch she added a pretty bow made from seam binding, and place a pearl button in the center. What a priceless card to receive. For more beautiful creations go to her blog at Cherry’s Jubilee. Creativity involves in breaking out of your traditional style. Take a look at your project in a different way and never hesitate to try something new. Thanks for stopping by. Have a very creative day! 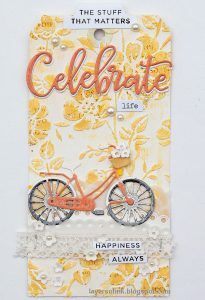 This entry was posted in Card Making, Stamping and tagged Cherry Nelson, Cherry's Jubilee, Martha Stewart, Papertrey Ink, Rubber Cafe.